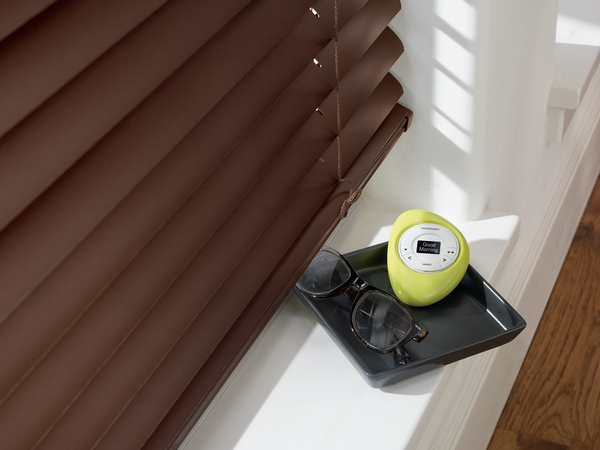 Easily control, schedule and program your favorite settings on blinds, shades and shutters. The intelligent motorized systems are programmable and allow you schedule open and close times during certain times of the day, based off of your preferences and temperature outside. Bring ease and comfort to your home with beautiful Graber window treatments—powered by a quiet, dependable, robust motor and remote. With options for every budget, our lineup of motors puts you in control—for convenience and peace of mind. 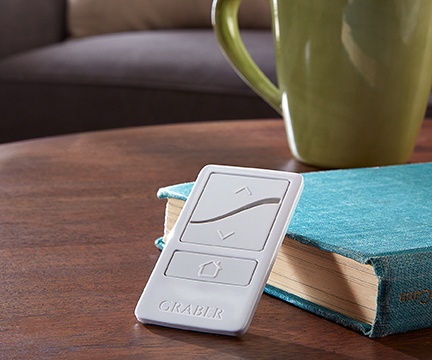 Graber motorization allow for easy, one-touch control of your shades, especially those hard-to-reach or large window coverings. Operate an individual shade or several simultaneously, from virtually anywhere in your St. Louis, Missouri area home. Just program PowerView to move your window treatments to the exact position you want and then control and schedule them using the intuitive PowerView App. You can also operate your PowerView settings using the PowerView Pebble® Control, or with voice commands using devices from Amazon. 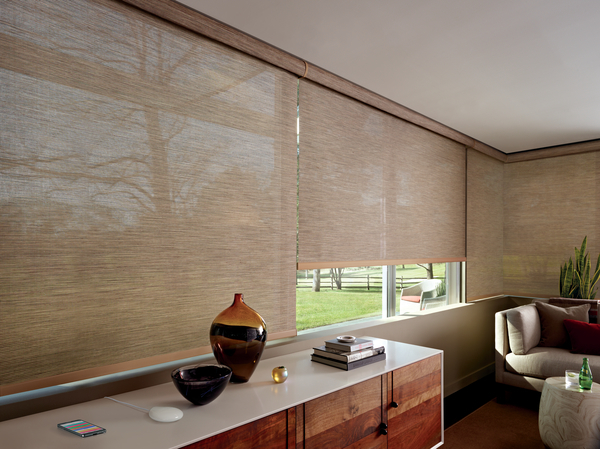 Learn more about Hunter Douglas Motorization Systems for your St. Louis, Missouri home. 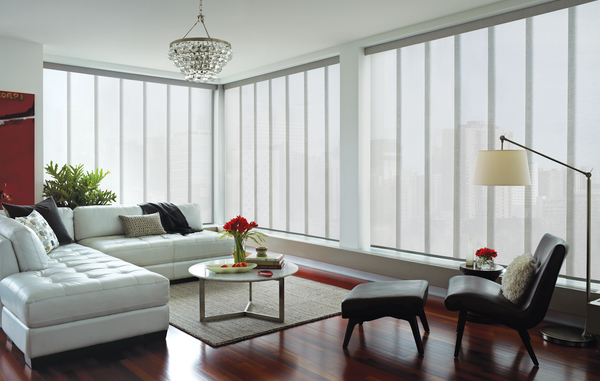 Motorized window treatments from Hunter Douglas® are smart and convenient. Simplify your life and allow your window coverings to create the perfect ambiance in your STL home. 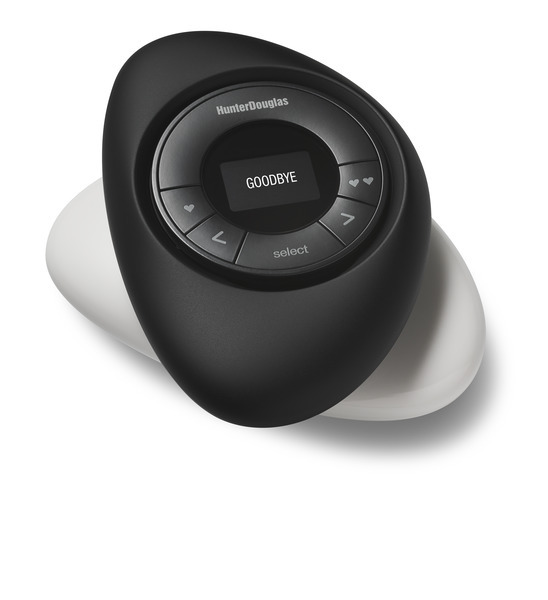 Hunter Douglas makes the stylish PowerView® system (recipient of the 2018 Red Dot Design Award) equipped with a sleek and modern PowerView Pebble® remote, as well as the option to download the mobile & tablet friendly PowerView® App compatible with iOS and Android devices. 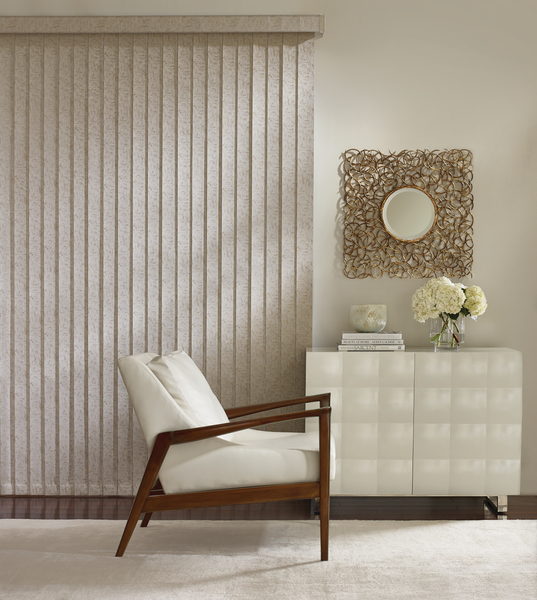 Motorized window treatments from Hunter Douglas® are convenient and simple to use in your STL area home. 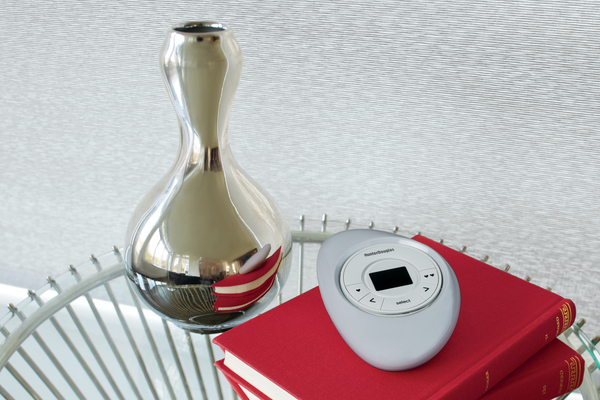 Hunter Douglas makes the battery-powered SoftTouch® system with simple wand-control operation. To lower the blinds you gently pull down on the wand. To raise the blinds, simply push up on the bottom of the wand. The design is child and pet safe because it doesn't include strings that can lead to potential accidents and injury. The SoftTouch® system is available with Hunter Douglas window treatments including the Alustra® Woven Textures®, Designer Banded, Roller and Screen shades. Additionally they're compatible with the popular Pirouette®, Silouette® and Sonnette™ shades. 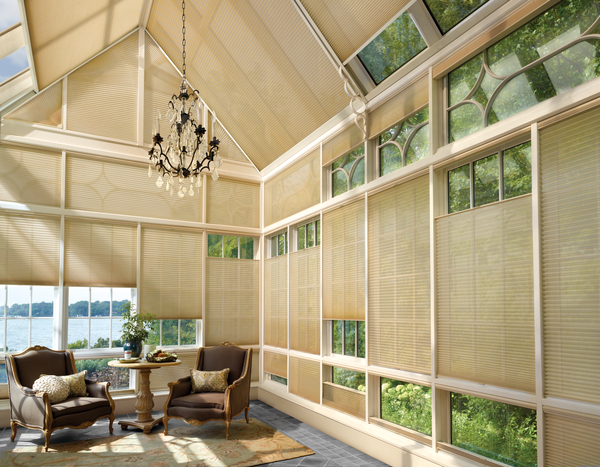 Motorized window treatments from Hunter Douglas® are smart and convenient. 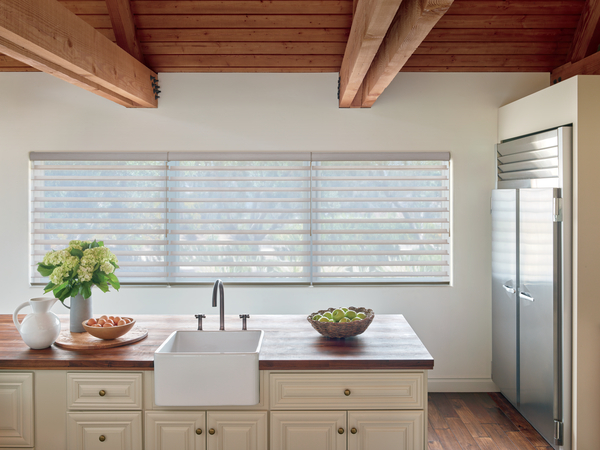 Hunter Douglas makes advanced motorized systems for vertical blinds that are convenient and operate at the touch of the button. 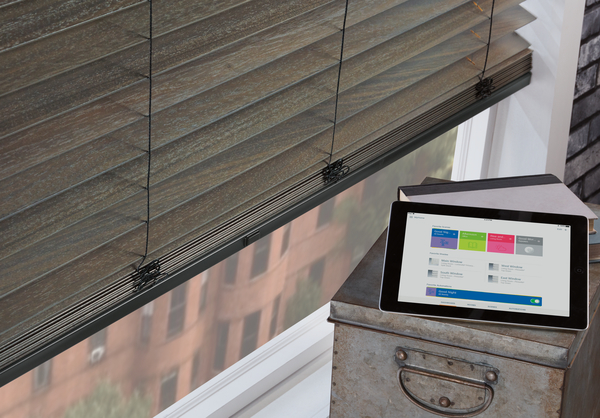 The vertical blind motorized system is available for use on Hunter Douglas Somner® blinds and Vertical Solutions®. Whether you have sliding glass doors or bay windows, motorized vertical blinds are easy to operate and the modern touch for your St. Louis, Missouri home, office or commercial facility. The system is compatitable with the Duette® and Applause® honeycomb shades, the perfect touch to any large, overhead window.